Welcome to the Amazing Kids! Media Center! 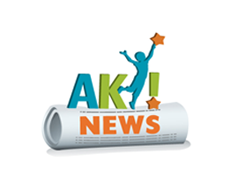 Check out the latest news from Amazing Kids!, or read through our past archived news releases. Be sure to register for our FREE eNewsletter, for our latest news updates by email: Amazing Kids! eNews Sign Up! Testimonials – Read what others are saying about Amazing Kids! and our work, helping kids realize their amazing potential and launch their dreams!